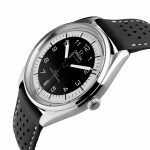 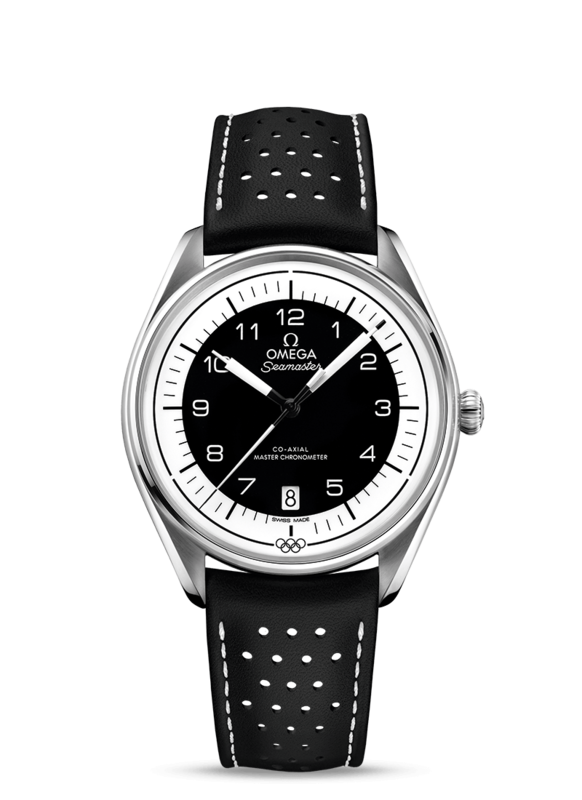 Inspired by the Rings of the Olympic Games, the Omega Seamaster Olympic Games Collection Black Dial and Leather Strap timepiece. 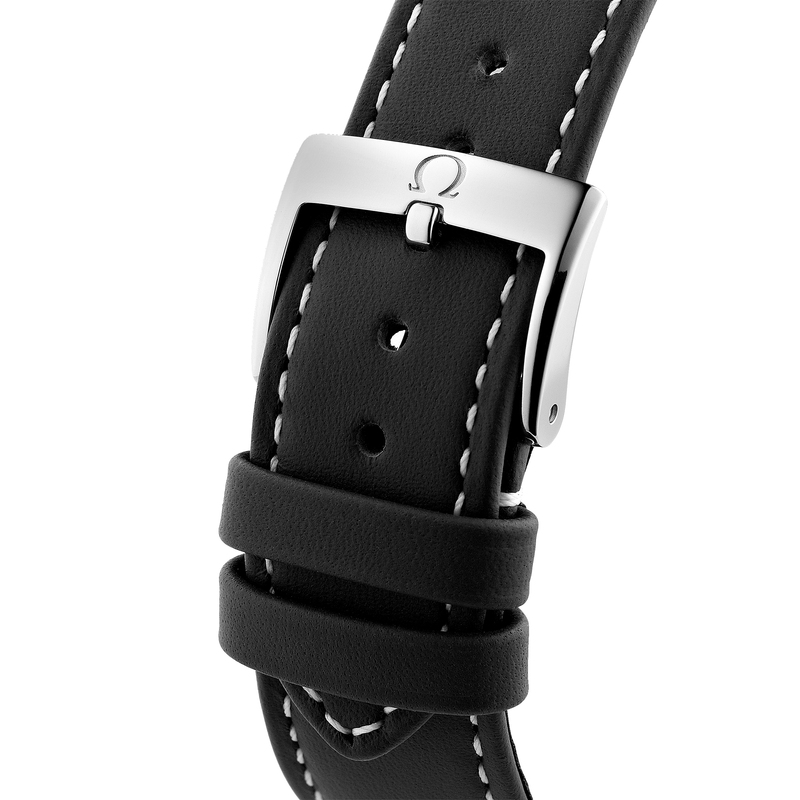 This incredible watch has a Stainless steel 39.5mm case and bezel all on a micro-perforated black leather strap. 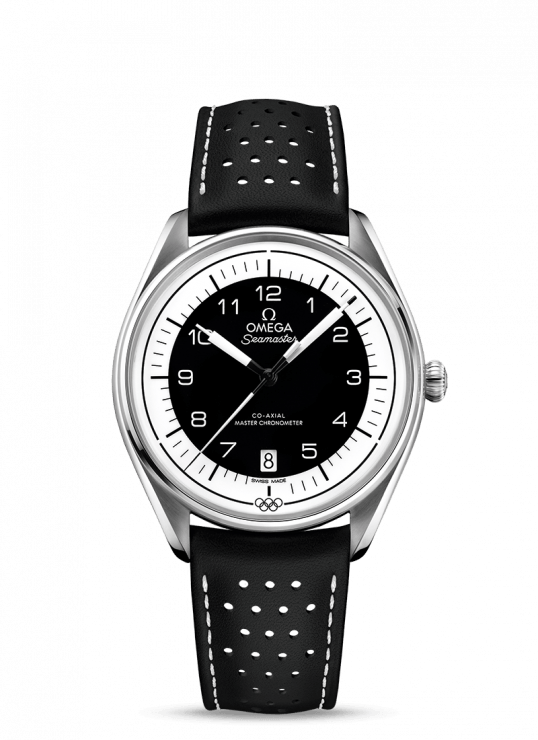 This watch features a black and white dial with sporty hands, a date window, an easy to read minute track as well as a black pulse reader that allows the wearer to calculate their beats per minute. 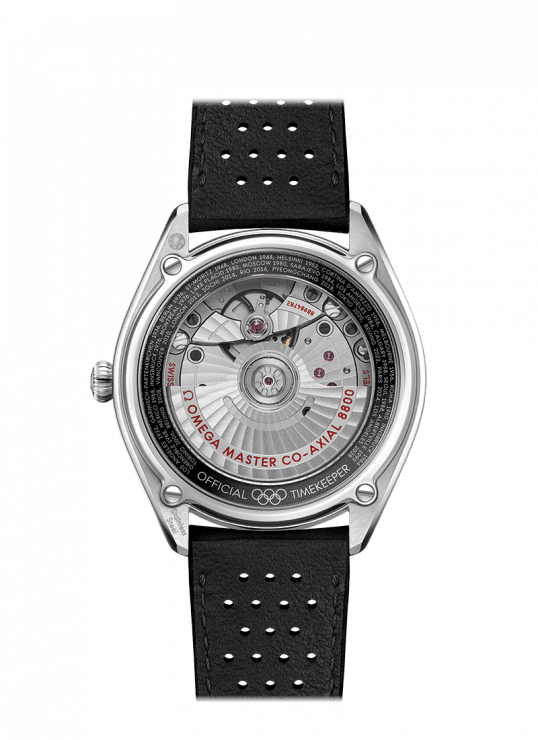 This special edition watch also has a case back which features a blue anodized aluminium ring which has all known host cities and dates from Omega Olympic Games journey from Los Angeles 1932 to Los Angeles 2028. 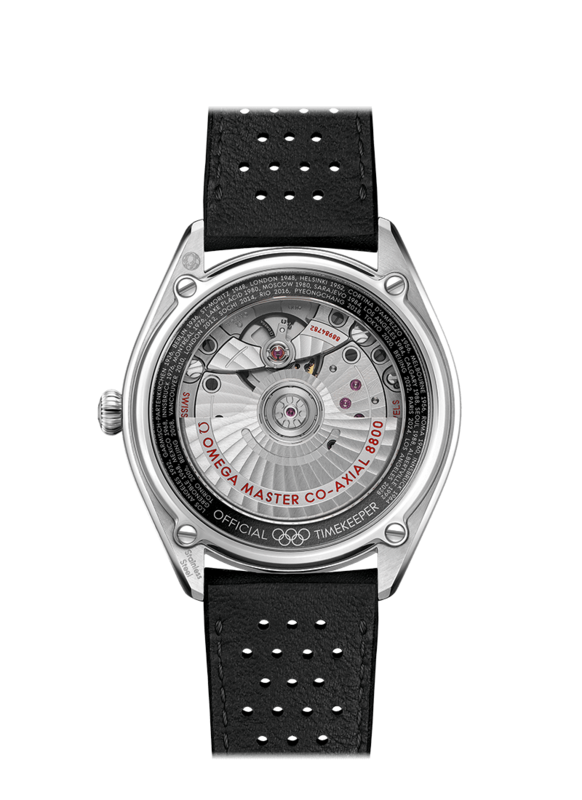 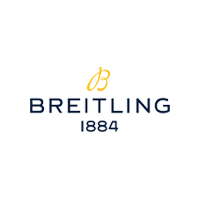 This watch is powered by the Master Chronometer Calibre 8800. Omega Seamaster 39.5mm Olympic Games Gents Watch has been successfully added to your shopping bag.